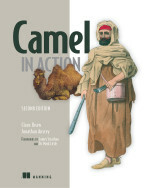 Today we posted 2 new chapters for the Camel in Action MEAP. Claus will most likely fill you in about the chapter on bean integration soon. Let me give you a little info about chapter 2 now though. Chapter 2 is basically all about routing - a pretty fundamental topic for Camel! I cover route creation in Java and Spring, as well as several EIPs. Since it is such an early chapter its pretty hand-holding throughout - you don't need to know Spring or EIPs beforehand, for instance. I also introduce a new running example to the book: Rider Auto Parts. You may remember them from the DZone article Integration Nirvana I wrote earlier this year. In the coming months the source from other chapters will also be added. As always, we love feedback in the book's forum. 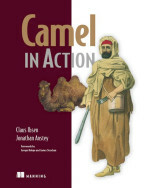 As Claus just announced, we are writing a book with Hadrian on Apache Camel entitled "Camel in Action". There has been a real need for such a book for a long time. We're hoping to fill the gap in the current documentation thats out there and provide a go to resource for new and experienced users alike. A neat thing about writing at Manning is that readers can see the book as its being written (in all its rough glory :)) and provide feedback directly to us. Also its early enough in the writing process so that you could have real influence on what topics get included! Feel free to check out the book and forums. 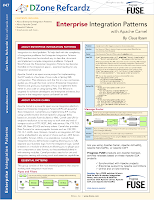 This Refcard provides you with eleven of the most essential patterns that anyone working with integration must know. This Refcard is targeted for software developers and enterprise architects, but anyone in the integration space can benefit as well. I wrote up a little article on Apache Camel for DZone, go check it out! This is really the closest thing we have to a book on Camel. Hoping that will change in the near future! Another great source for nicely printable Camel documentation is FUSE Source. Check it out here. 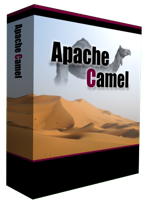 The Camel team is pleased to announce the release of Apache Camel 1.6.0. Get it while its hot! We've fixed 169 issues in this release so its a worthwhile upgrade for all Camel users. You can find the full list of changes here.